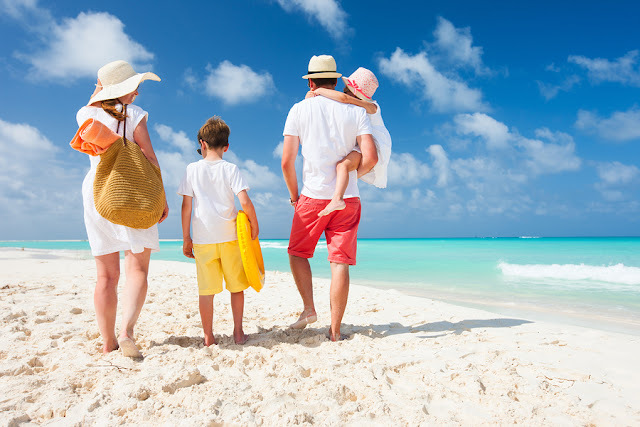 Spain has steadily been on the rise as a prime short haul destination for family holidays. Its magnificent sandy coasts, volcanic islands and fascinating cities make up for a wide selection of settings to choose from, making family holidays to Spain a matter of preference. From a city break in artsy Barcelona to a sunny beach holiday in Lanzarote, Spain offers plenty of things to see and do. Splash around one of numerous waterparks, cycle, snorkel or hike and bring the best of memories back home with you. After all, family holidays to Spain never cease to amaze as they provide something for everyone involved. Here are the main 5 reasons why we love it and if you happen to pay a visit yourself you will also agree. Spanish weather may vary according to region but due to most resorts being in a predominantly Mediterranean setting, Spain happens to enjoy friendly weather during the better part of the year. The Canary Islands are justly called the islands of eternal spring and the Mediterranean coasts such as Costa Brava and Costa Blanca are amongst the prime destinations for family holidays to Spain for the same reasons. There is no introduction adequate enough to describe the magnificence of Spanish beaches. From the burnt volcanic sands of Lanzarote to the golden sands and shingle beaches of the Balearic islands and Costa Blanca, Spain is full of hidden and not so hidden gems. Pack your sunglasses, towel and swimsuit and jump straight in. Family holidays to Spain in order to enjoy lazing under the sun are as good an excuse as any to miss out on some days at the office. Spanish food and drinks are world renowned and for good reason too. Quench your thirst with a local vino or sangria while you sample the authentic and oh so tasty tapas, or have a local dinner with fresh fish in the Canaries. The spicy chorizo and other delicacies are always on offer and what a better place to try them than their place of origin. Expand your culinary experiences and make your family holidays in Spain a literal feast for the senses and stomach. With some of the world’s most well-known art and culture museums and more than 5000 castles and forts, the sunny land of Spain is a place steeped in history. Visit the enormous and impressive Prado in Madrid, the Alhambra in Granada or the Sagrada Familia in Barcelona and witness some of the most well-known historic/cultural sights of Europe. If that is not enough, have a look at any other guide about Spain and you are guaranteed to find something to tickle your fancy. From sunbathing to hiking to golfing, family holidays to Spain have a bit of everything when it comes to activities. From the playing at the great golfing courses of Majorca and Benidorm to surfing the coasts of the Canary Islands and trekking along the dramatic Aigüestortes national park, the things to do will always exceed your time.